Over the years and many weddings we have been fortunate to be a part of, certain venues and vendors have stood out to us. We also know that it can be over-whelming for a bride to have to do countless hours of internet surfing to find all the stars that will be a part of her special day. 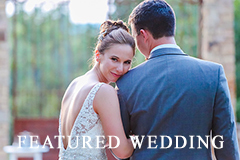 We would like to offer all of our brides-to-be a list of vendors that we have enjoyed working with. Professionalism, courtesy, and 5 star service is what we are looking for and we have no doubt that you are too! Cheekwood, Nashville's premiere wedding destination, is the perfect setting for rehearsal dinners, showers, ceremonies and receptions of all sizes. In lieu of a vast ballroom, Cheekwood offers unique indoor and outdoor spaces including botanical gardens and a museum of art set for a bride's wedding fantasy to unfold. 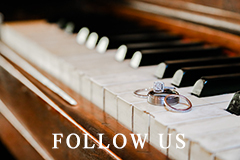 Andrew Jackson’s Hermitage is proud to host weddings and events year round. 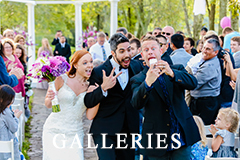 Voted the #1 wedding venue in Nashville, we take pride in making sure your wedding or event exceeds your expectations.With four different venues, we can accommodate any taste or budget. Savor the Flavor - Our pledge is integrity, courtesy, and customer satisfaction. We strive to deliver top-quality service and creativity on every level with consistent professionalism. From high quality food to unique concepts, our goal is to complement and exceed the vision of our clients. Jo's Custom Cakes and Catering - Our wedding cakes are made from the finest ingredients. They are made one at a time, not in “mega batches.” They are never frozen. Our signature white chocolate cake is one of the best tasting cakes around. Our buttercream and other special icings are made on site with the best ingredients. I have over 35 years experience in the cake industry and will work with you to create the cake of your dreams. Healthy Portions - Home cooking at it's best. 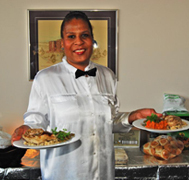 With a friendly staff and unforgettable savory home cooking, Healthy Portions will be the hit of your next wedding event. 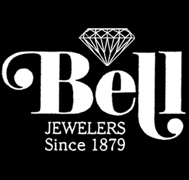 Bell Jewelers- “Voted the Favorite Jewelry Store” and “Best Place to Buy an Engagement Ring” in Murfreesboro. We are the leader in currents jewelry trends and in house jewelry and watch repair. 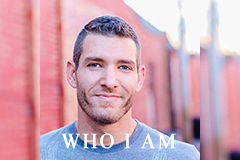 We want people to know we are following the Fashions and Trends of the industry. Encore Bridal & Formal Wear - Encore Bridal and Formal Wear is a unique bridal shop. We offer brides-to-be quality consignment wedding dresses in current styles for a fraction of the retail price. We also have a special order department featuring the Allure Bridals newest line, Madison James as well as Allure Bridesmaid Dresses. Rebel Hill Florist- Flowers set the stage for the entire day. 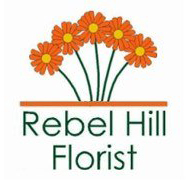 Whether your style is traditional or contemporary, the experienced floral designers and wedding consultants at Rebel Hill Florist can create beautiful bouquets, church and reception decorations that will reflect the taste and personality of you and your fiancé. 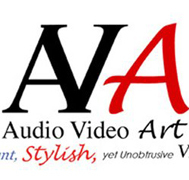 Audio Video Art - Audio Video Art is a progressive digital video production company based in Nashville, Tennessee specializing in wedding video production as well as event videos for corporations, groups, and individuals across the United States. 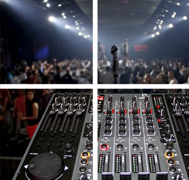 Crowd Control Entertainment - Crowd Control Entertainment will provide the elements to help make it as individualized and special as you are. 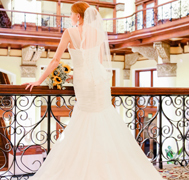 Our years of professional experience will help put together every element of your wedding day and create an atmosphere you have always envisioned.